A paid traffic generation strategy for your website should come after your brand has tapped into the use of free methods. The recent changes on Google doesn’t mean that these are not still available, and with a few creative strategies can still work well today. How do you rank higher on search engines? A website that gets noticed is original, unique, and produces content that is not stuffed with the same keywords. But your brand’s content doesn’t have to stop there. Guest blogging can bring more opportunities and help you establish authority online. 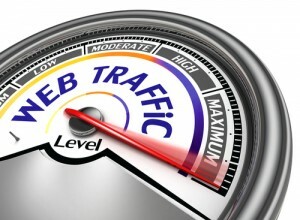 A regular blog in particular is your personal brand’s access to getting free traffic to your website. Whether you have started one already or are creating your first content marketing strategy there are a few key points to think about. There are several ways you can effectively build a loyal following for your personal brand. • Offer informative, high-value content – Think of your articles as a part of your personal brand’s authority tool. A how-to or instructional post is one of the best ways to start attracting new visitors to your website. Be sure to find out what competitors are offering in your market, and create your own spin that represents your products or services well. • Publish A Mix Of Content – A stand-out blog for your brand should include not only text articles, but also graphics, infographics, videos, free reports and giveaways such an eBook or presentation. There are many creative ways to not only repurpose old content, but draw in more readers with something that will garner their attention. • Branding With Ezines – Before all of the changes in SEO submitting articles to directories was a great way to build your website ranking. Today this method is best used for creating more of an awareness for your brand, and crafting unique articles or newsletters to further establish your authority. Building a successful blogging strategy for your personal brand does take planning, research, and consistent dedication, but the payoff is in the form of free traffic and a higher website ranking. It is also a good foundation to build on for your brand for your other marketing strategies.